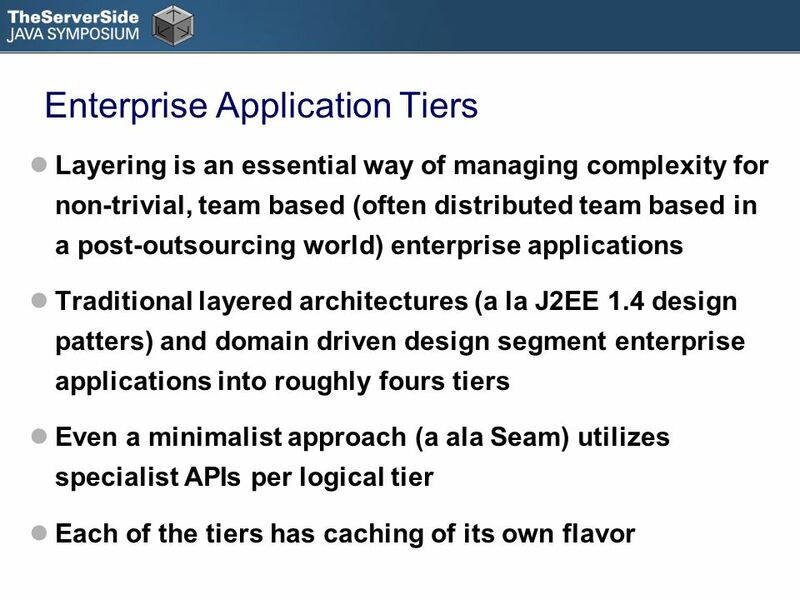 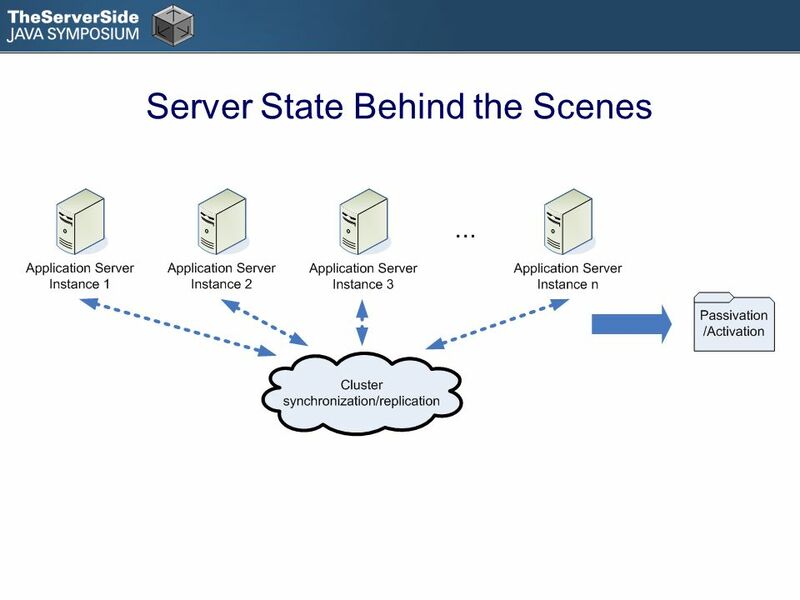 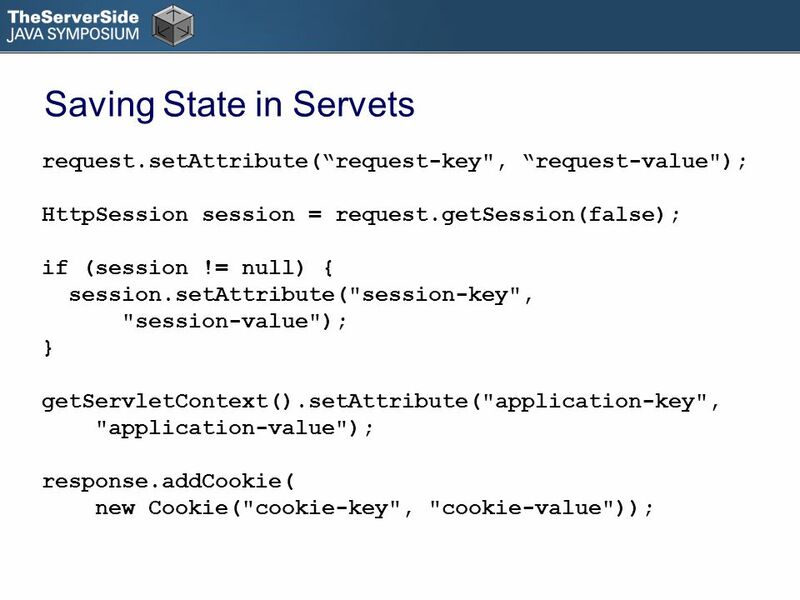 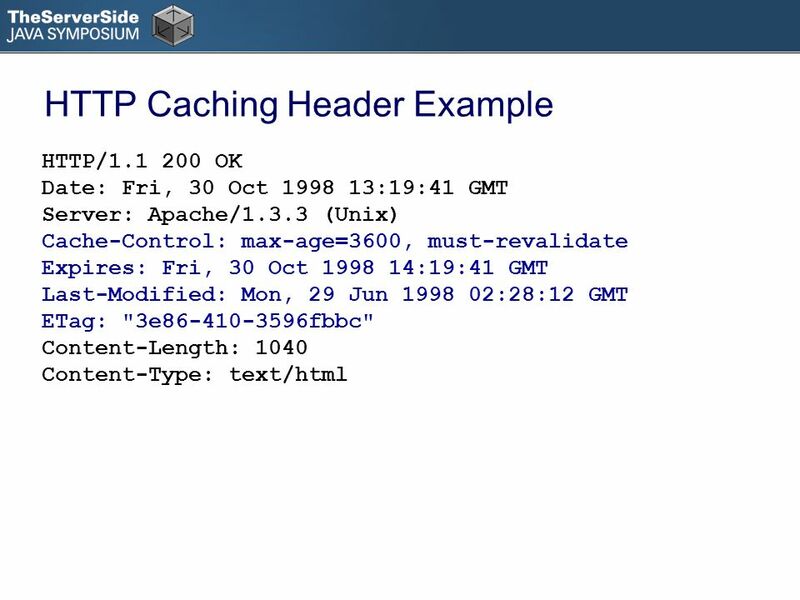 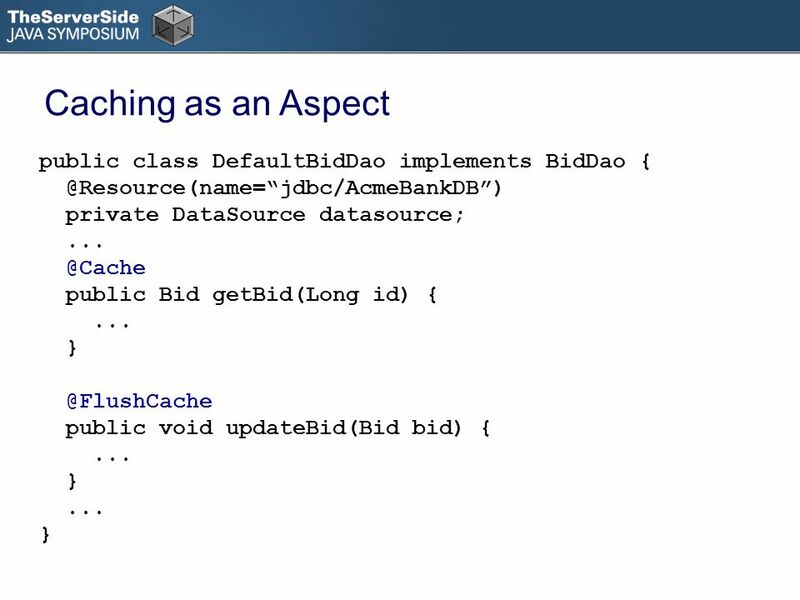 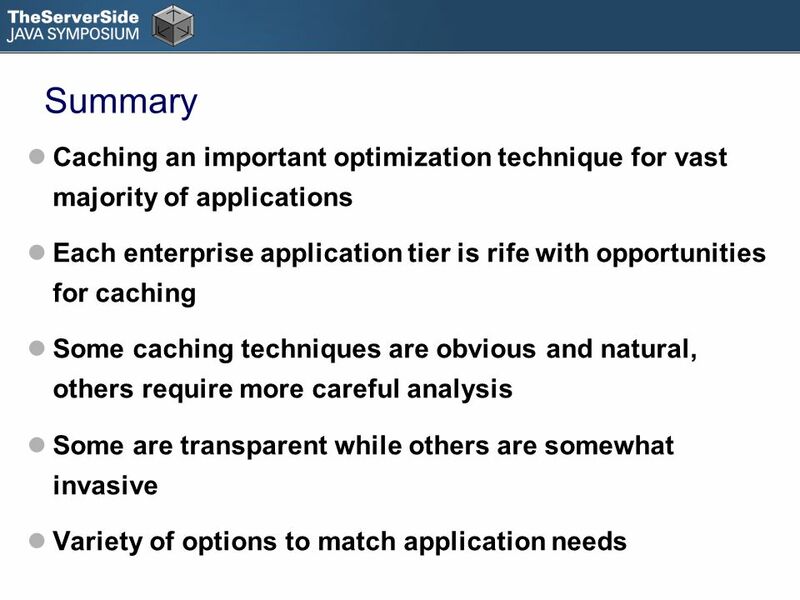 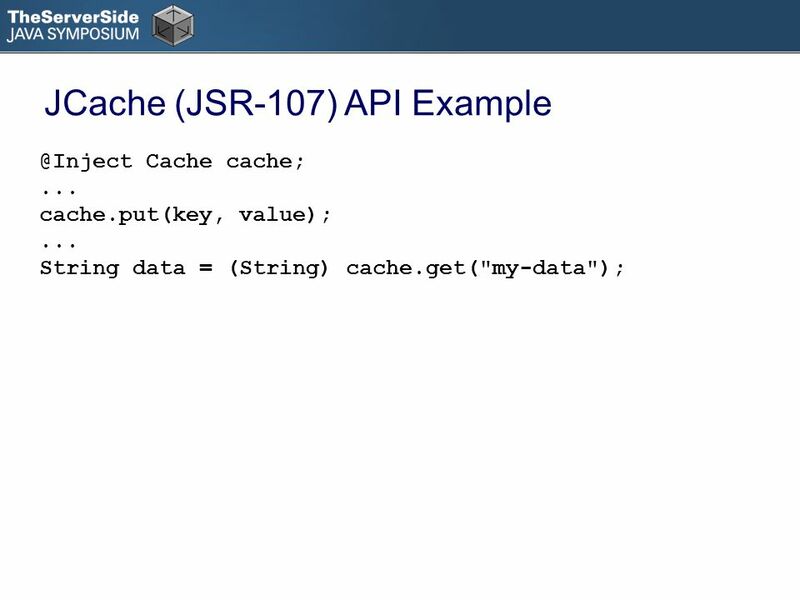 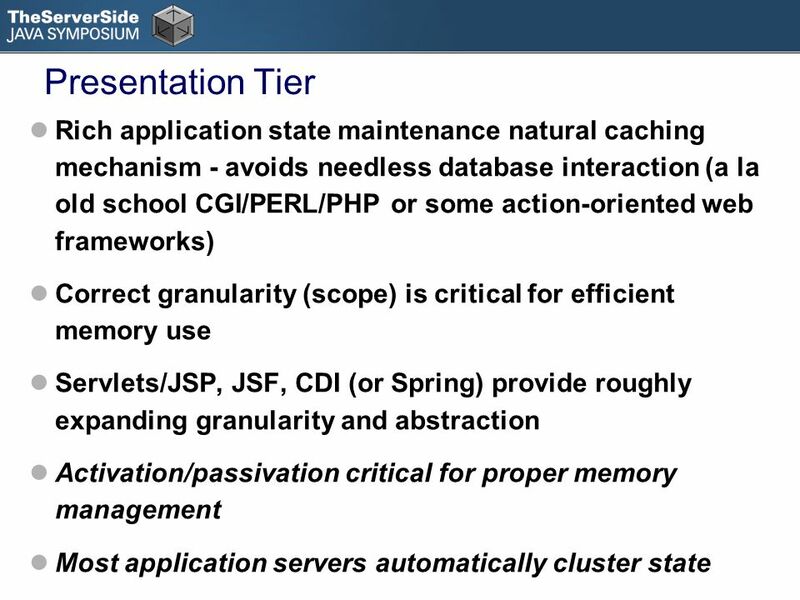 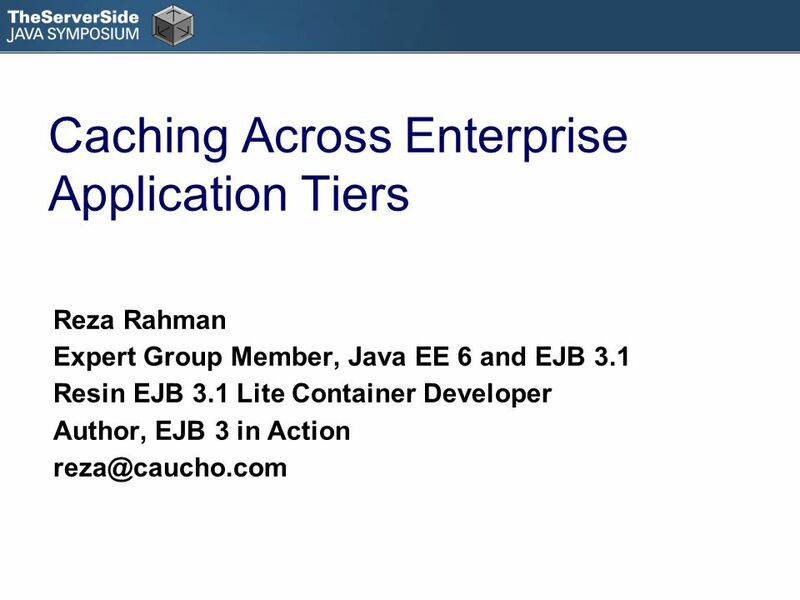 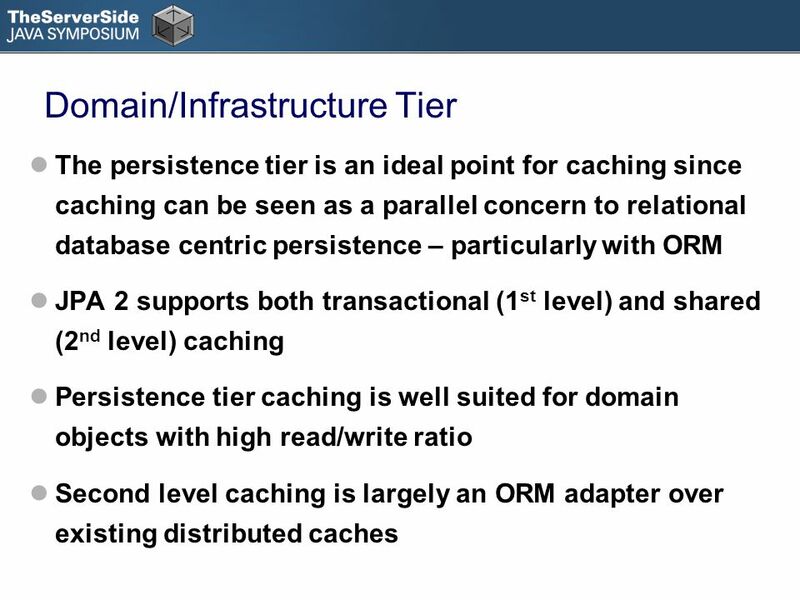 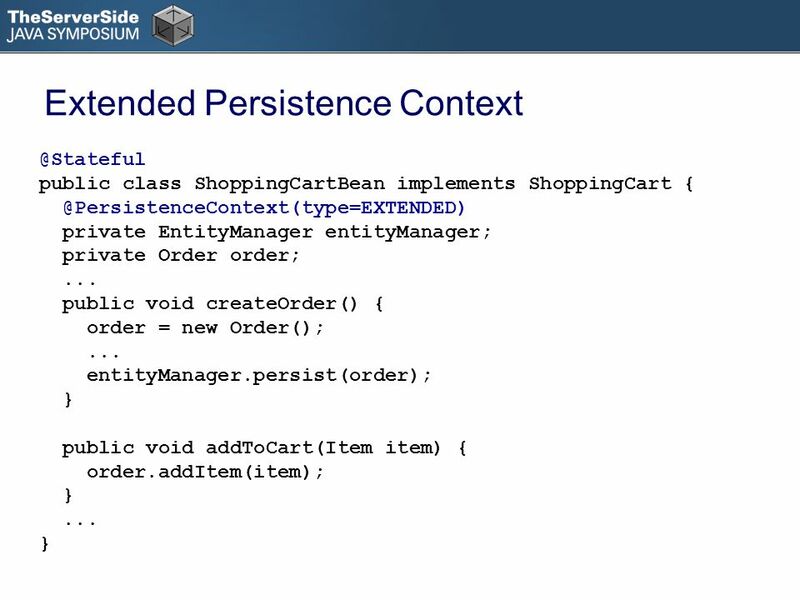 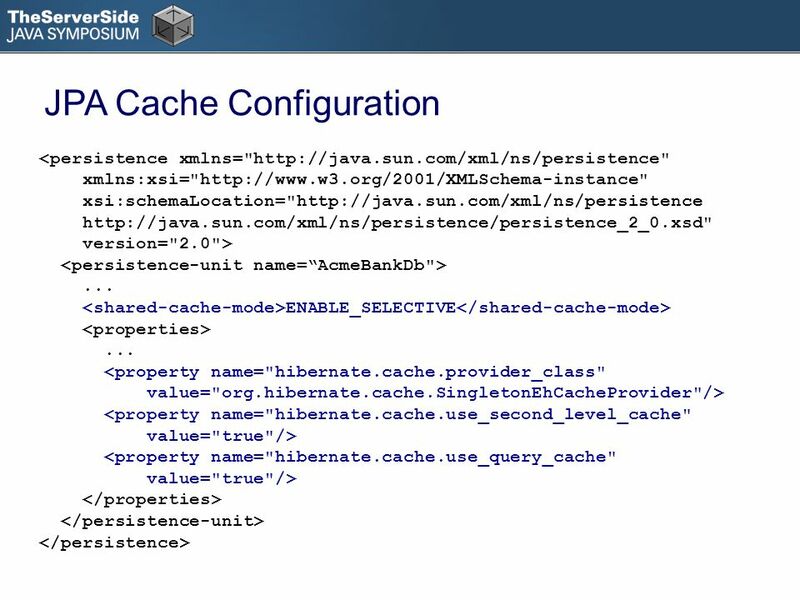 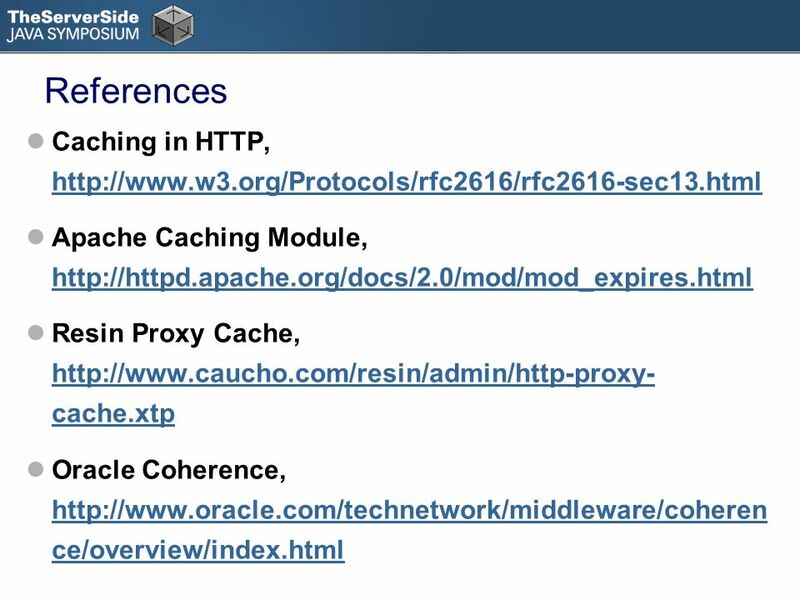 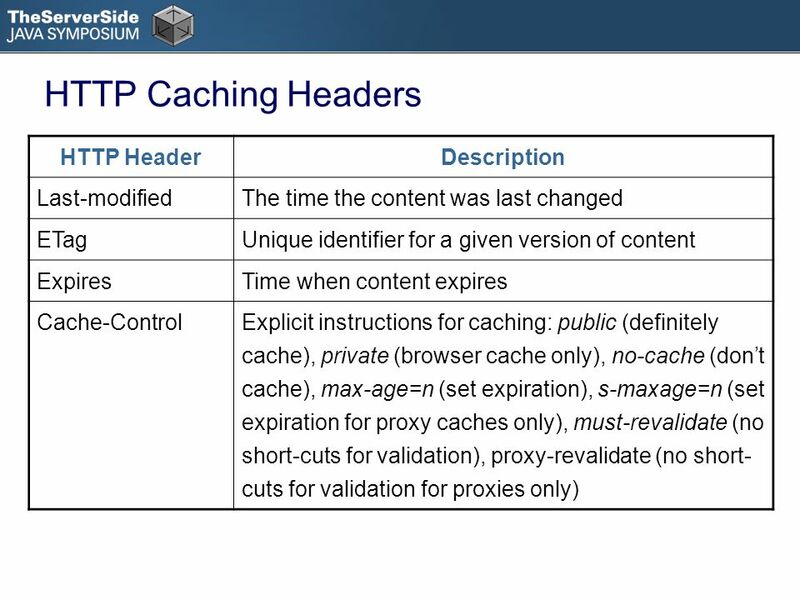 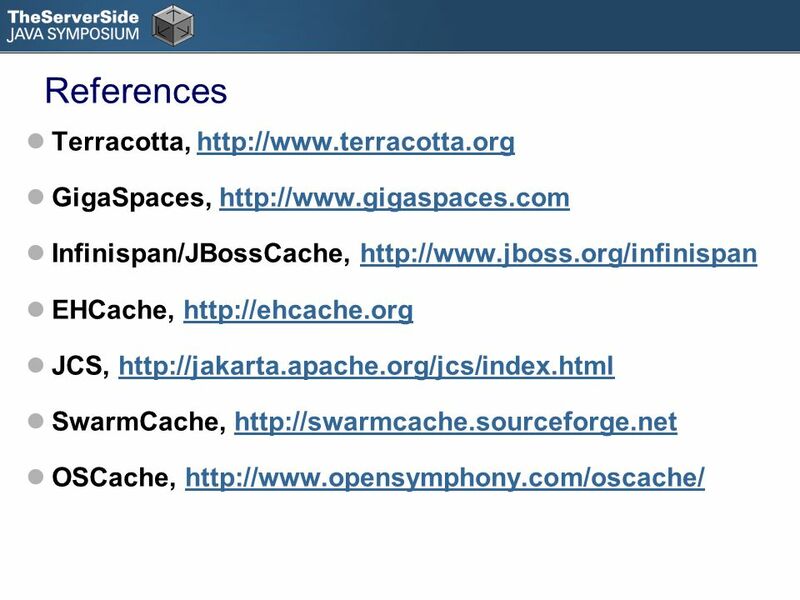 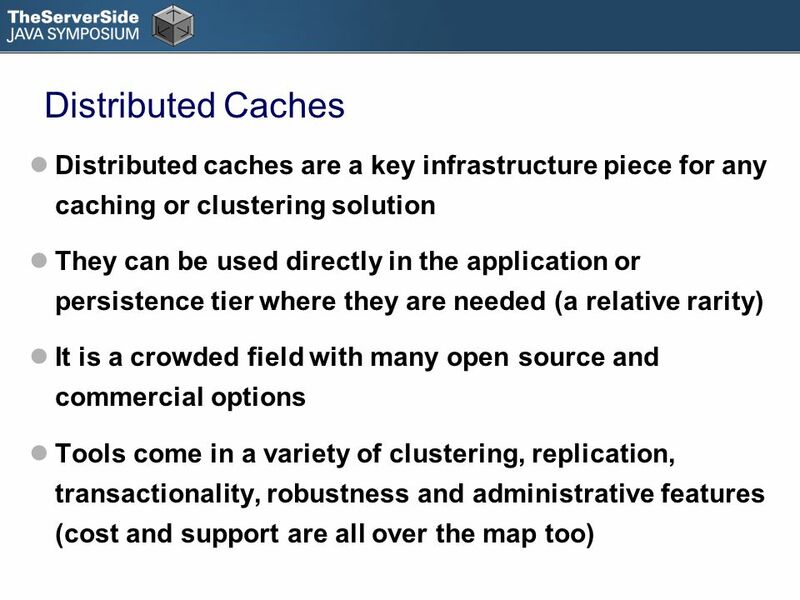 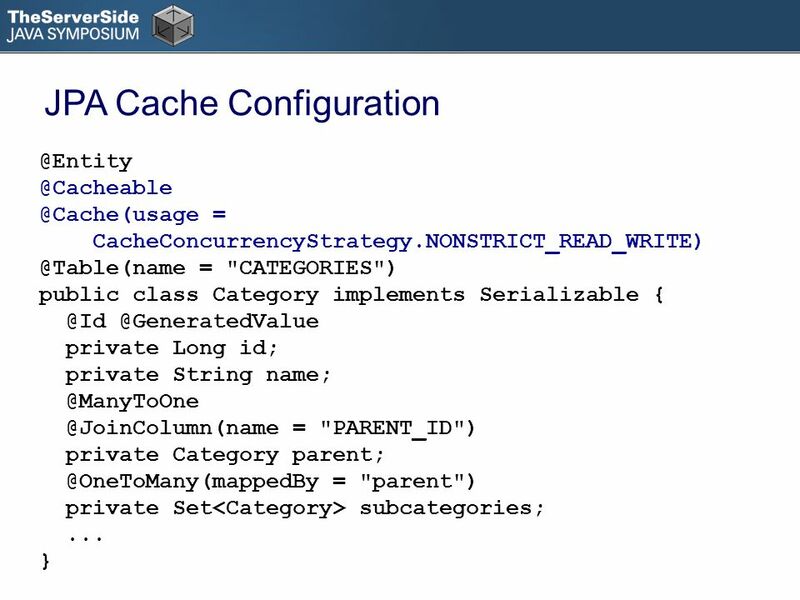 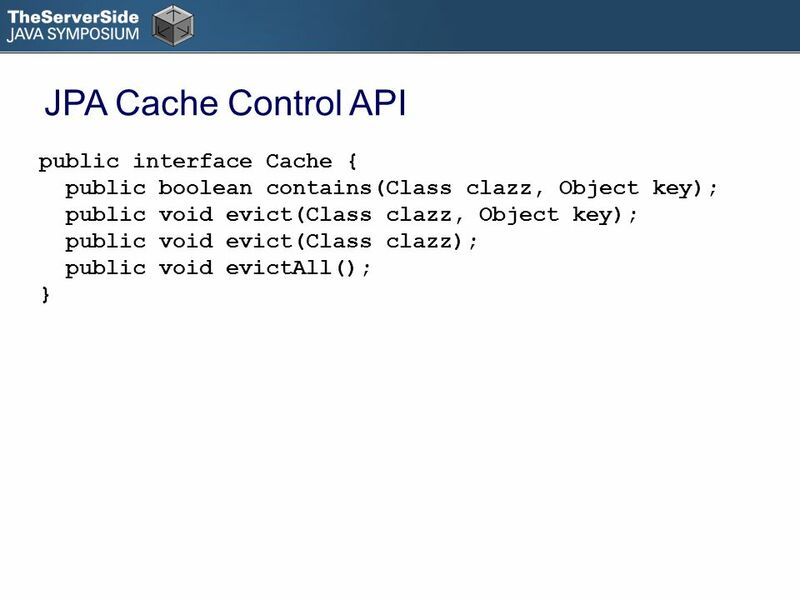 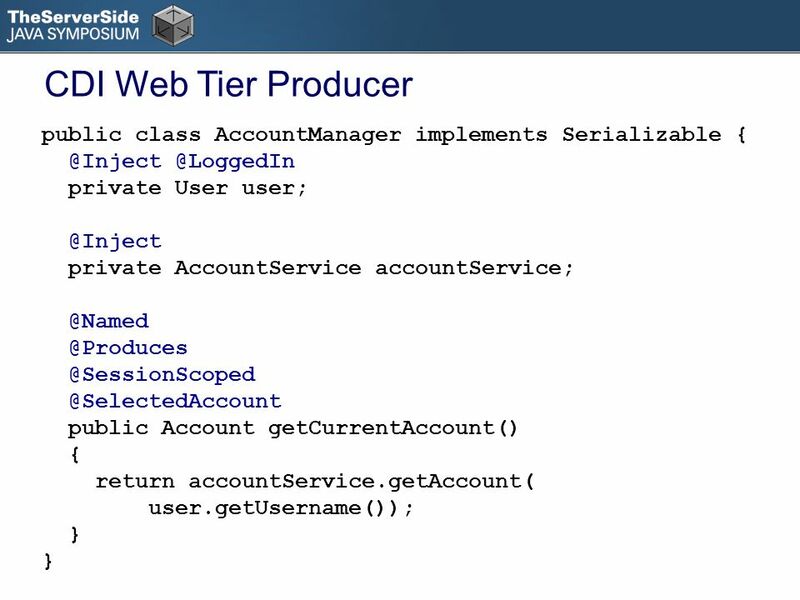 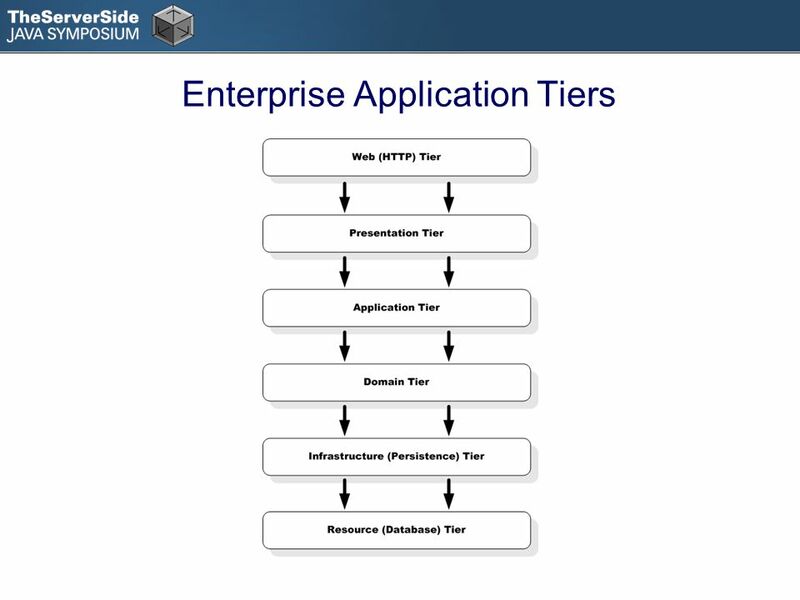 Caching Across Enterprise Application Tiers Reza Rahman Expert Group Member, Java EE 6 and EJB 3.1 Resin EJB 3.1 Lite Container Developer Author, EJB 3. 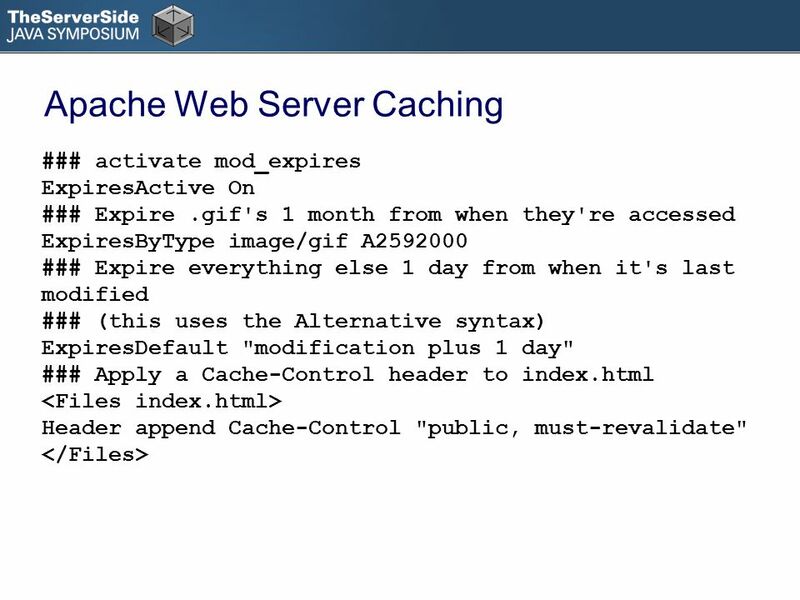 9 Apache Web Server Caching ### activate mod_expires ExpiresActive On ### Expire.gif's 1 month from when they're accessed ExpiresByType image/gif A2592000 ### Expire everything else 1 day from when it's last modified ### (this uses the Alternative syntax) ExpiresDefault "modification plus 1 day" ### Apply a Cache-Control header to index.html Header append Cache-Control "public, must-revalidate"
Download ppt "Caching Across Enterprise Application Tiers Reza Rahman Expert Group Member, Java EE 6 and EJB 3.1 Resin EJB 3.1 Lite Container Developer Author, EJB 3." 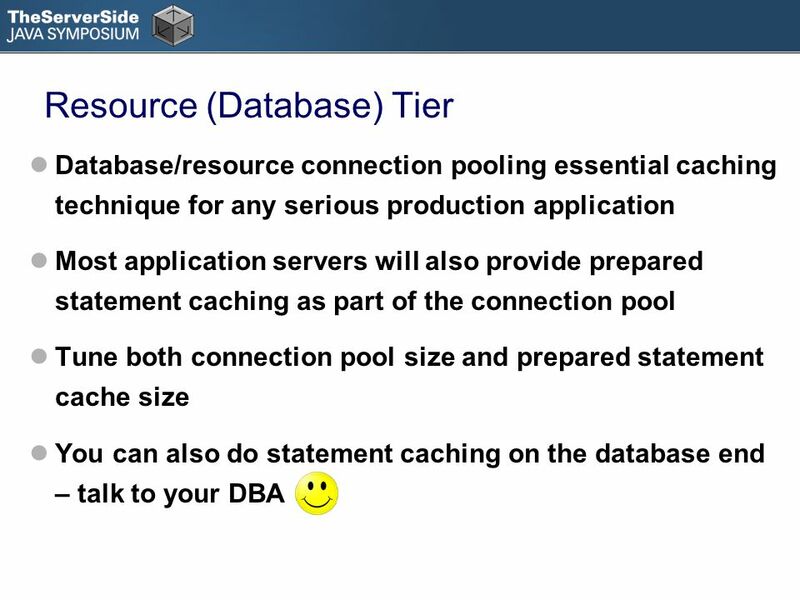 Connecting to Databases. 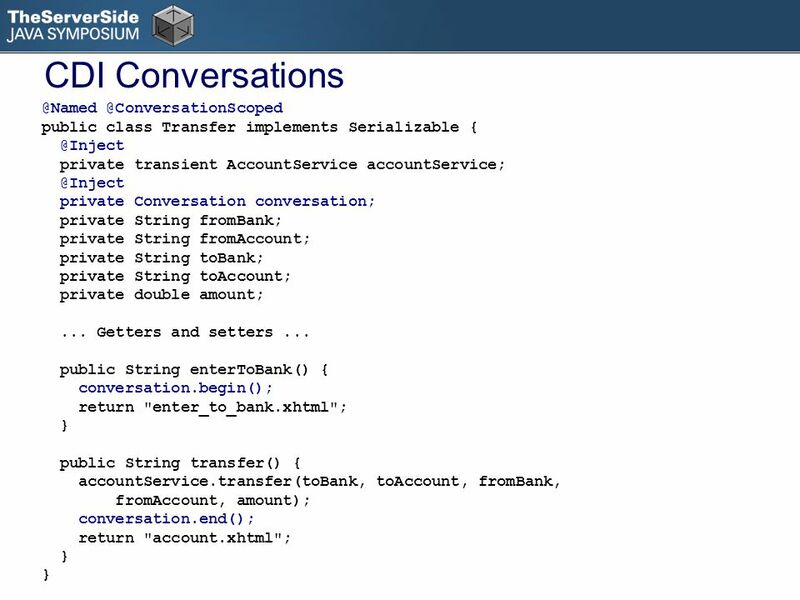 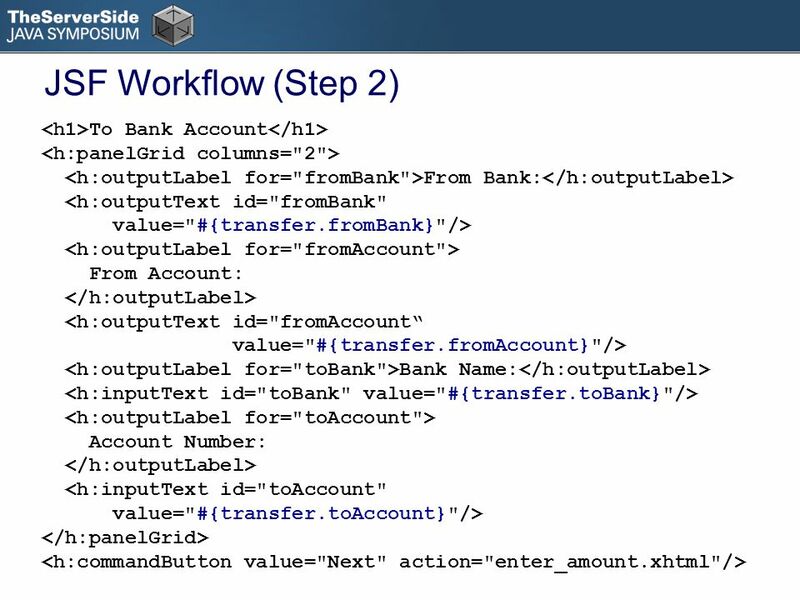 relational databases tables and relations accessed using SQL database -specific functionality –transaction processing commit. 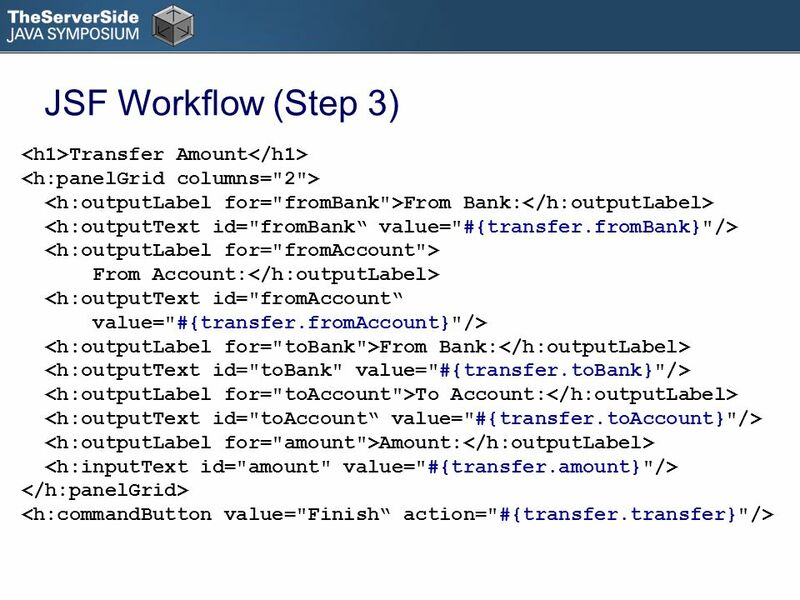 1 Jini Tutorial, Part 3 Jini Programming. 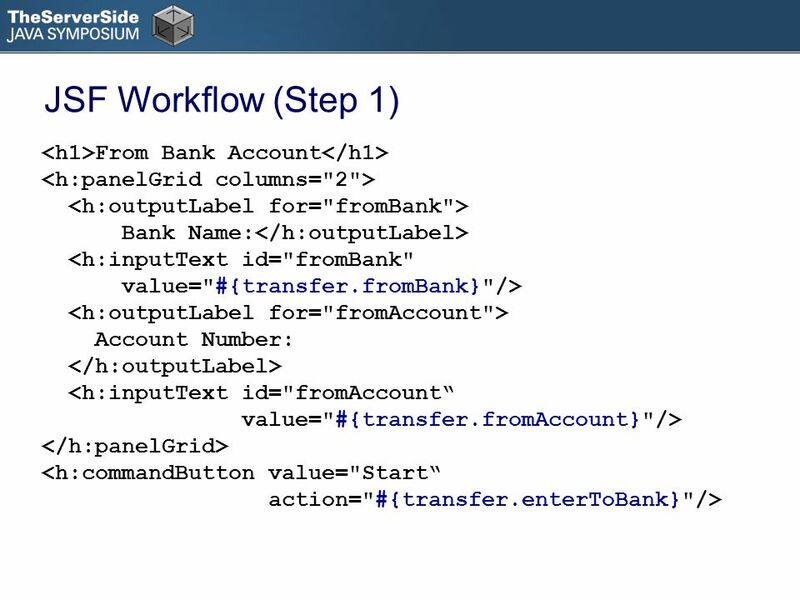 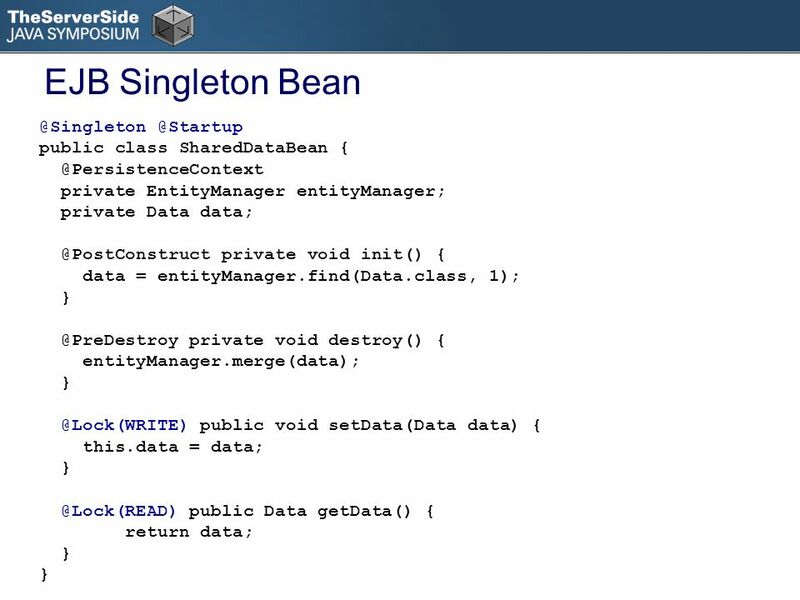 2 Tutorial outline Part 1 Introduction Distributed systems Java basics Remote Method Invocation (RMI) Part 2. 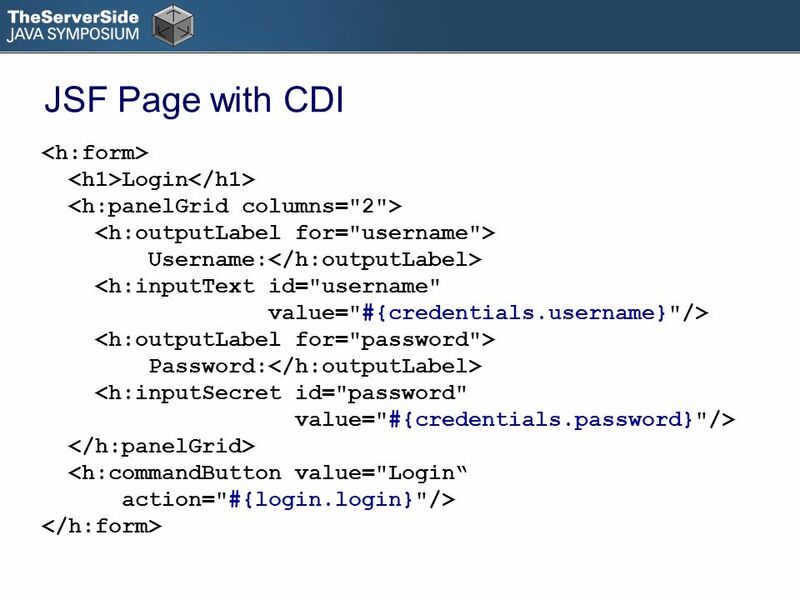 JLab Lattice Portal – Data Grid Web Service Ying Chen, Chip Watson Thomas Jefferson National Accelerator Facility. 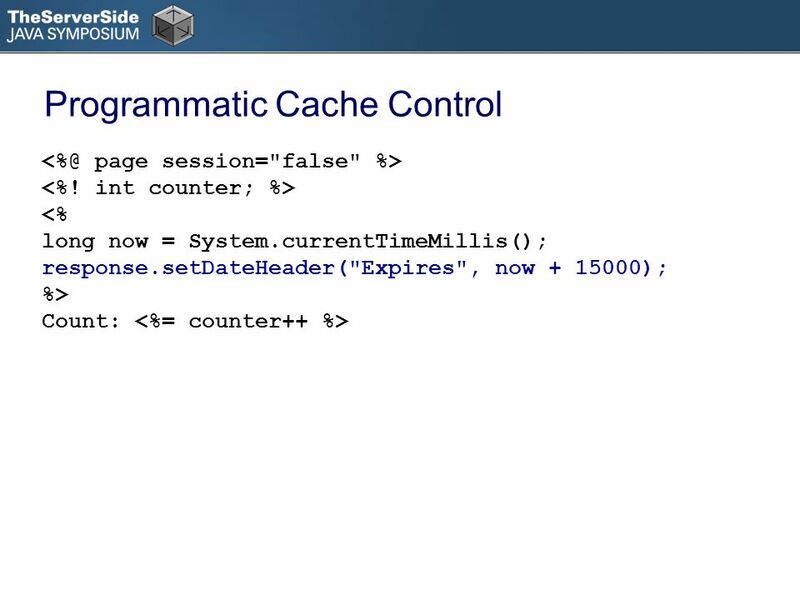 CHAPTER 15 WEBPAGE OPTIMIZATION. 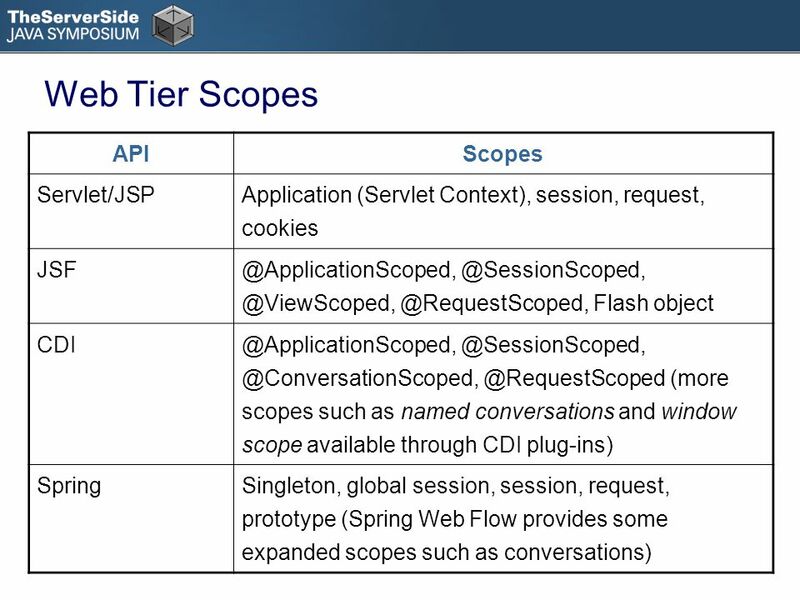 LEARNING OBJECTIVES How to test your web-page performance How browser and server interactions impact performance What. 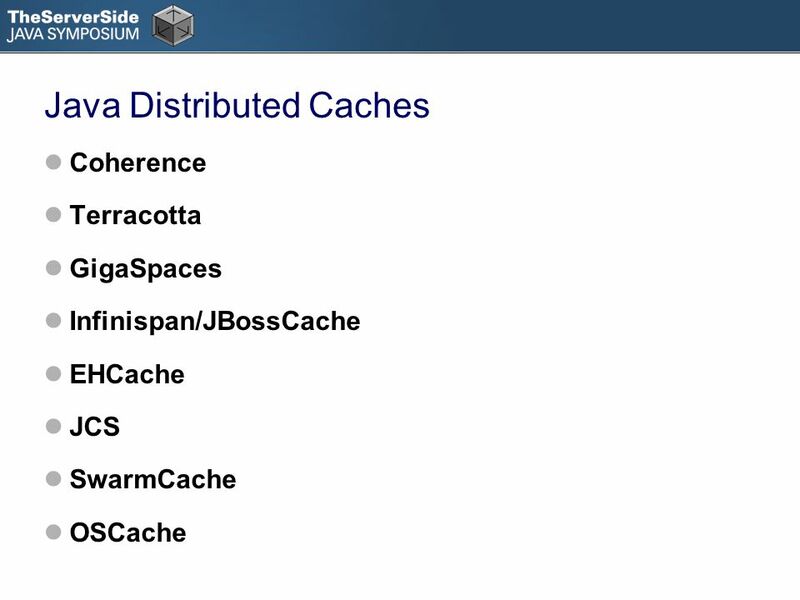 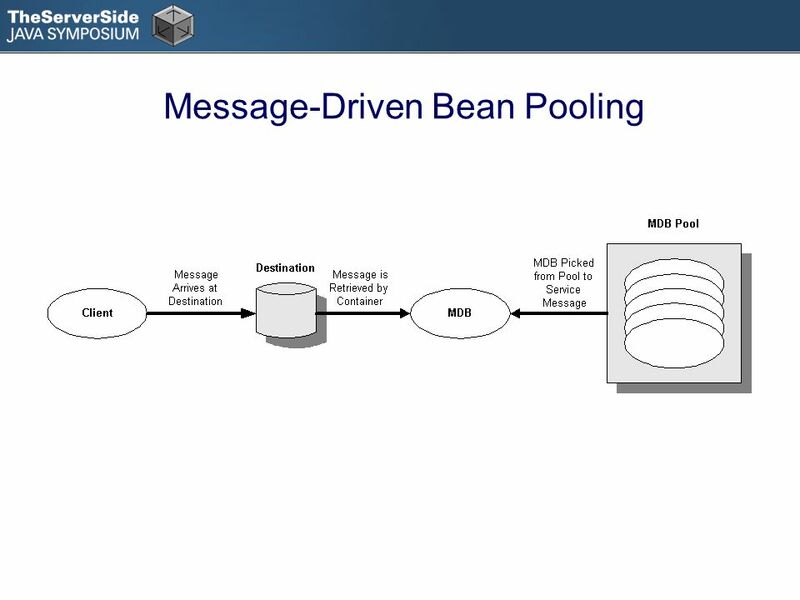 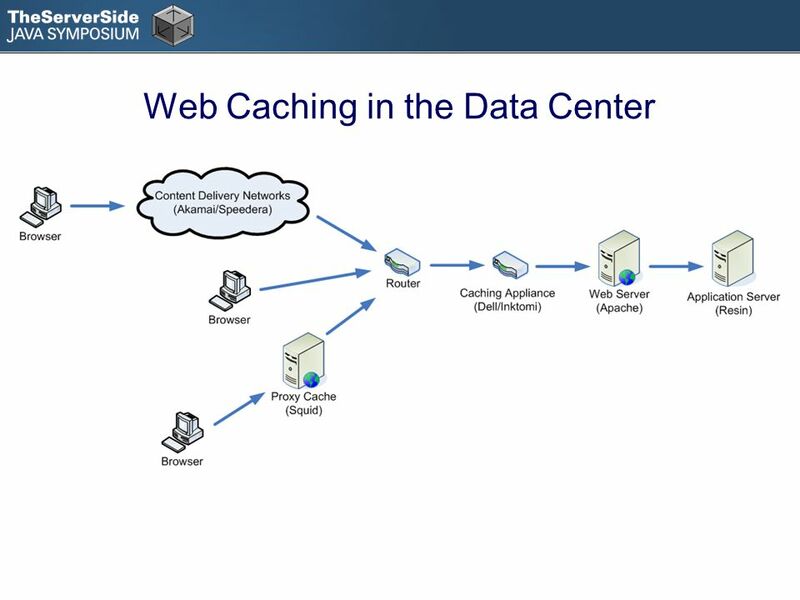 PACS – 06/21/14 1 Cache? 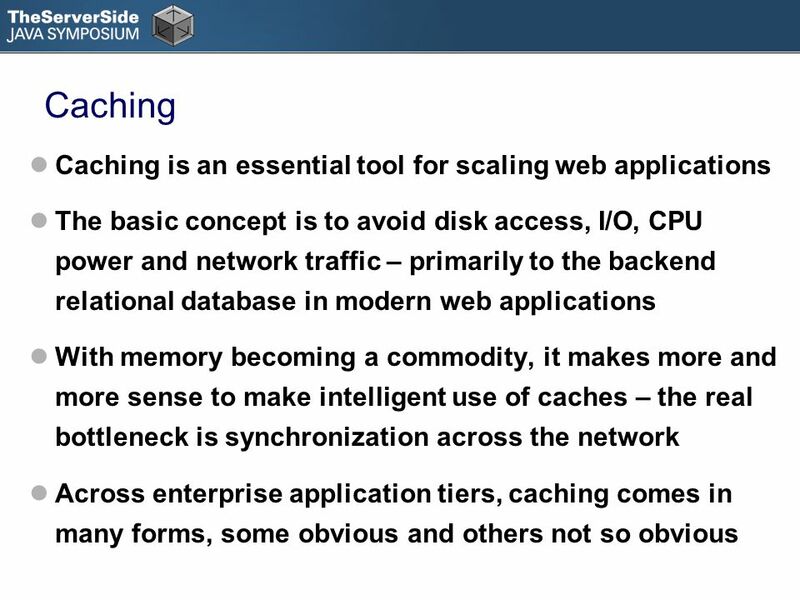 What is caching? 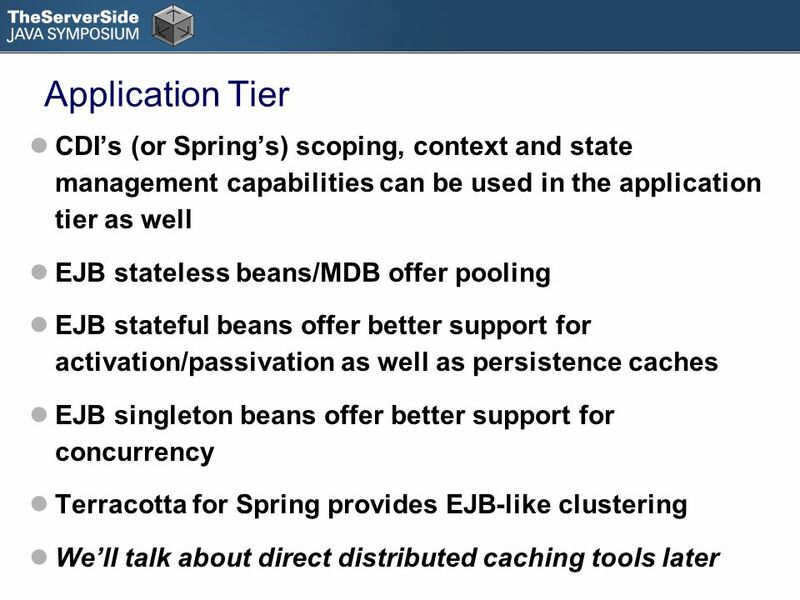 A way to increase the average rate of a process by preferentially using a copy of data in a faster, closer, probably. 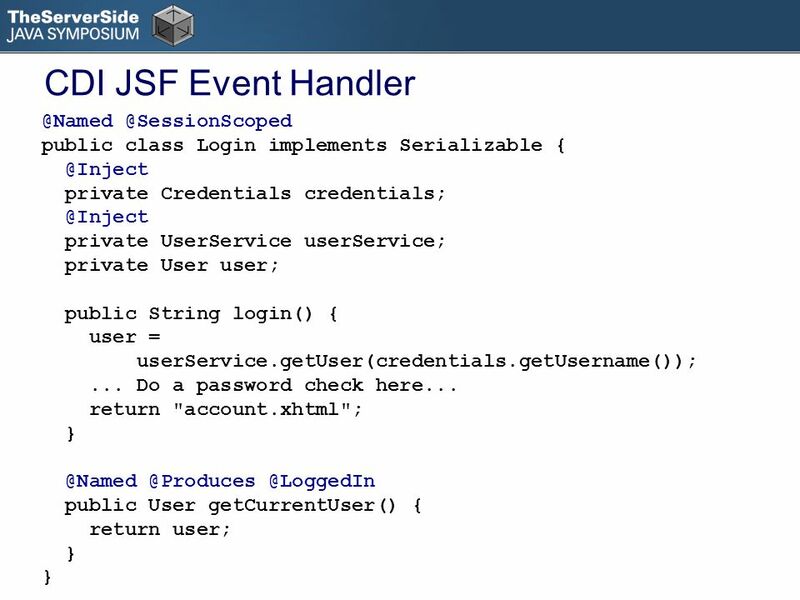 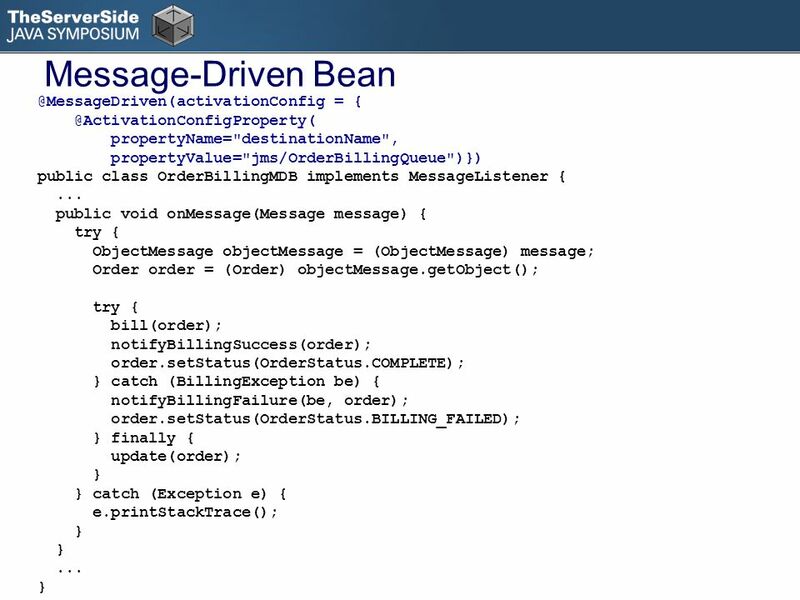 ISE 390 Dynamic Web Development Java EE Web Applications. 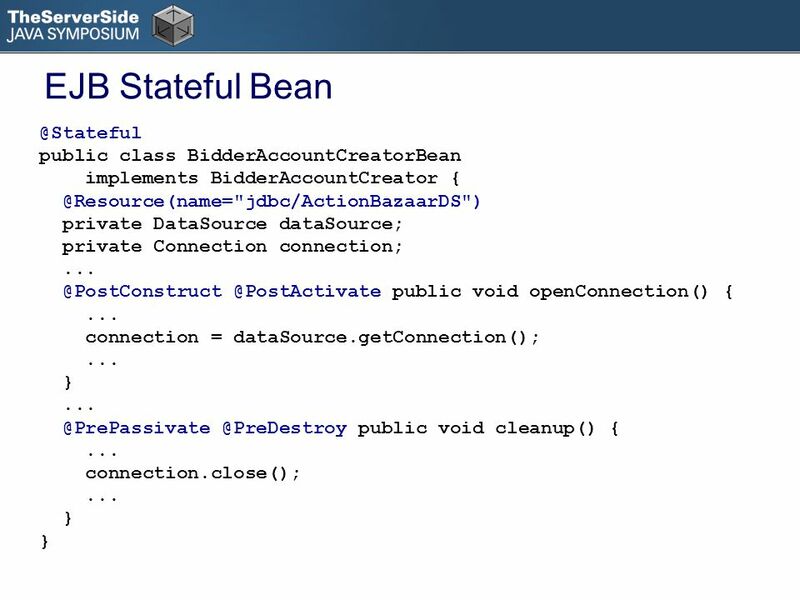 EJB Enterprise Java Beans JAVA Enterprise Edition www.zhuanyshev.kz.